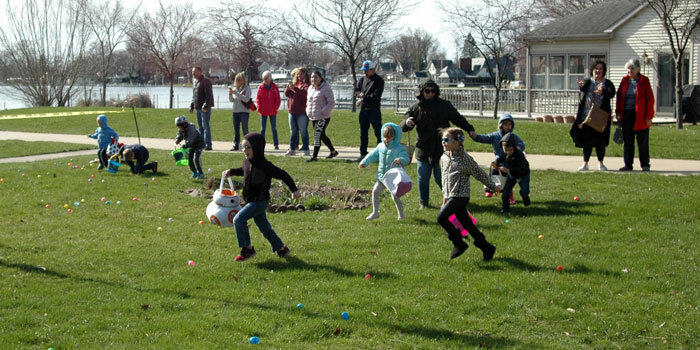 SYRACUSE — Parents continued corralling in their excited children to the sidewalk of Lakeside Park as they awaited the countdown for the annual Lakeside Egg Hunt to begin. 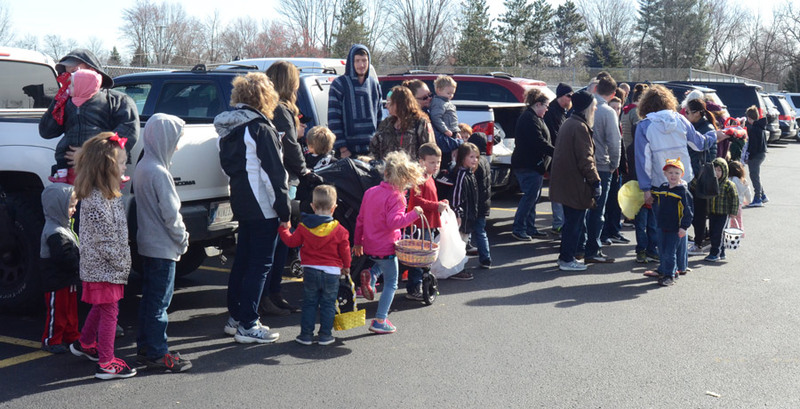 Around 200 kids, up to grade 5, snatched up 2,400 eggs in only a couple of minutes. 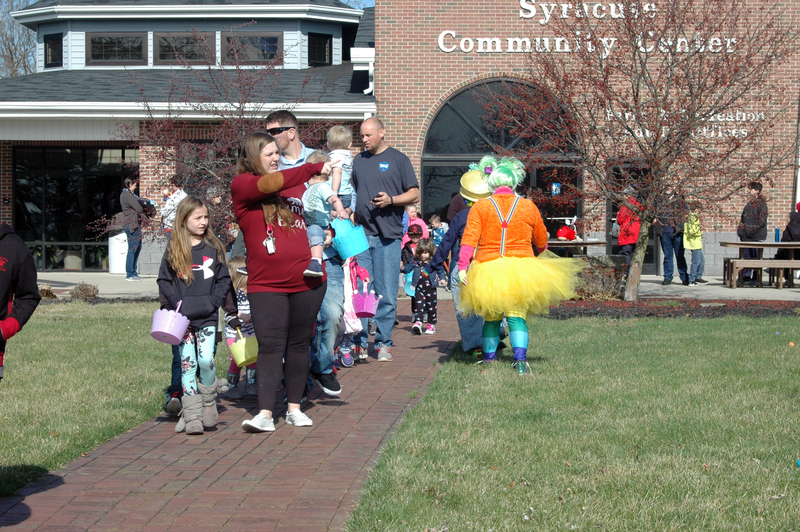 After the hunt the Syracuse Community Center filled with visitors exchanging their eggs for coins and goodie bags. 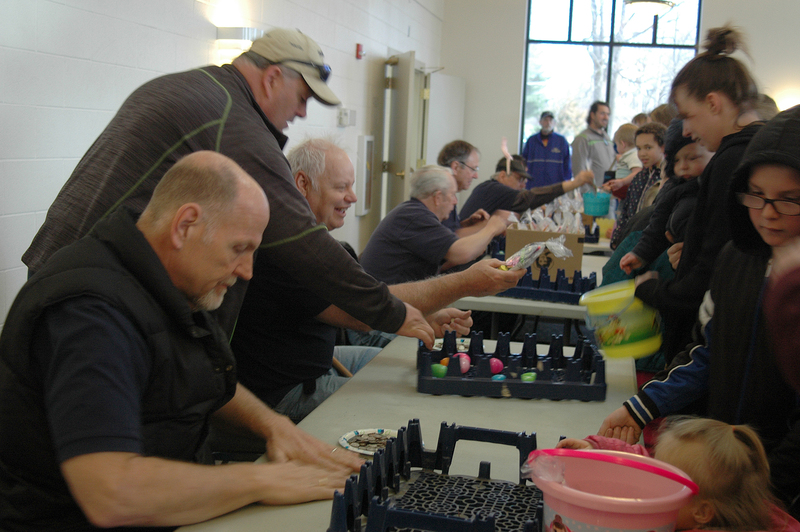 Those who gathered a golden egg picked up an additional prize at the toy and game table. 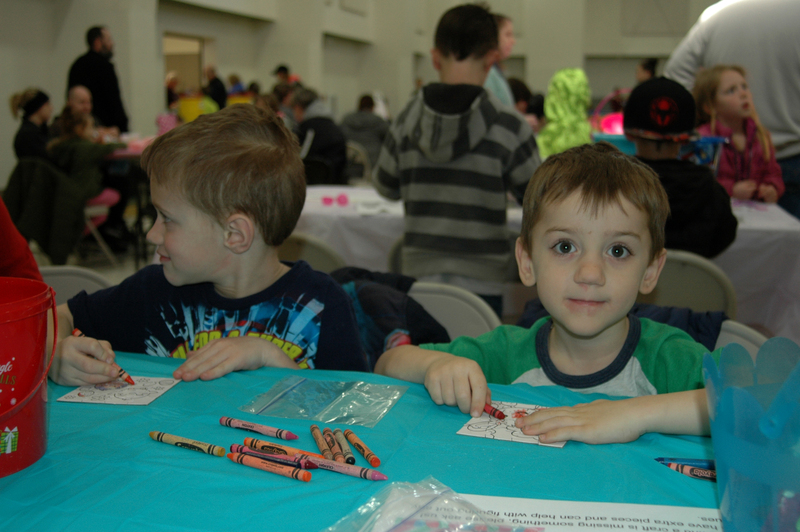 Many stayed to eat a hotdog lunch, color a picture, visit the Easter Bunny and watch the clowns, Pipsqueak and Popsey, transform balloons into crowns and Easter Bunnies. 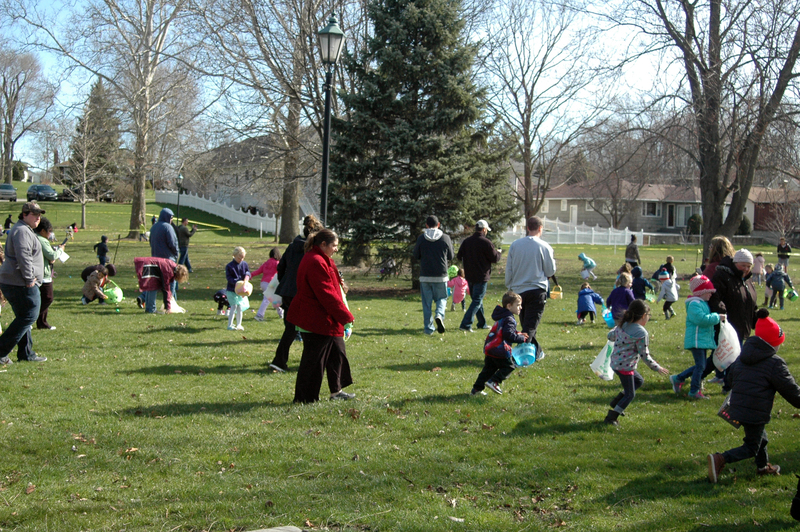 The Lakeside Egg Hunt is sponsored by the Syracuse Knights of Columbus Council 6323. Families started filling up the community center parking lot early before heading toward the designated age group areas. 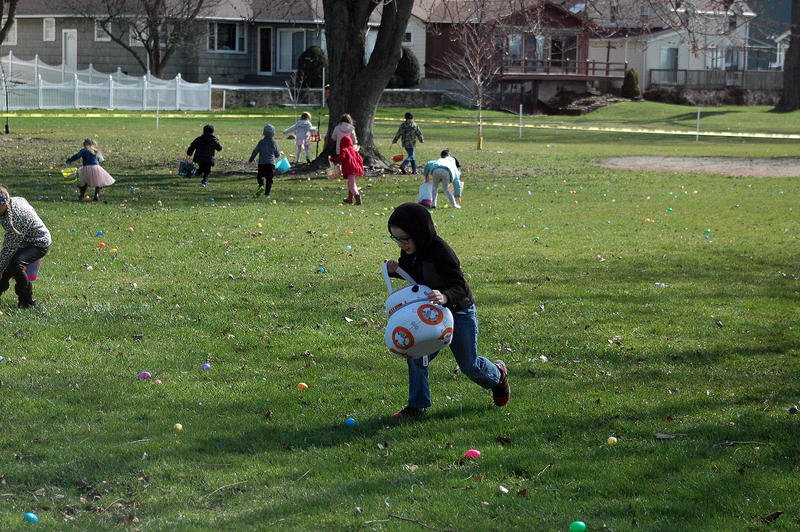 Parents and kids strategize the best way to get the most eggs. Parents follow behind their children, encouraging them as they try to gather as many eggs as possible. Korben Mast gathers as many eggs around him as he can. Don Curry congratulates each child on their full buckets as he gives them coins for their hard work. 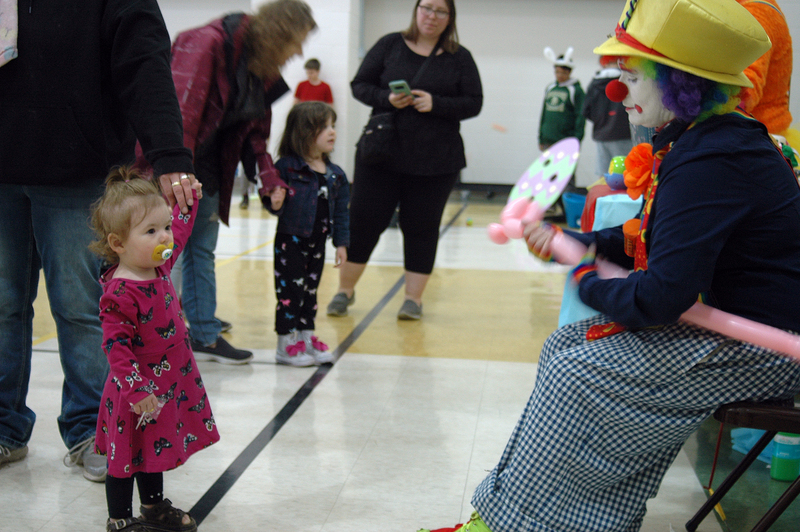 Popsey, Sabra Johnson, contorts a balloon into a crown for a young boy exhausted from the egg hunt. Skylin Spore watches, enraptured, by the way Pipsqueak (Nicole Walls) twists and turns a simple balloon into an Easter Bunny. Jackson and Sylas Carnahan color with the rest of their family. 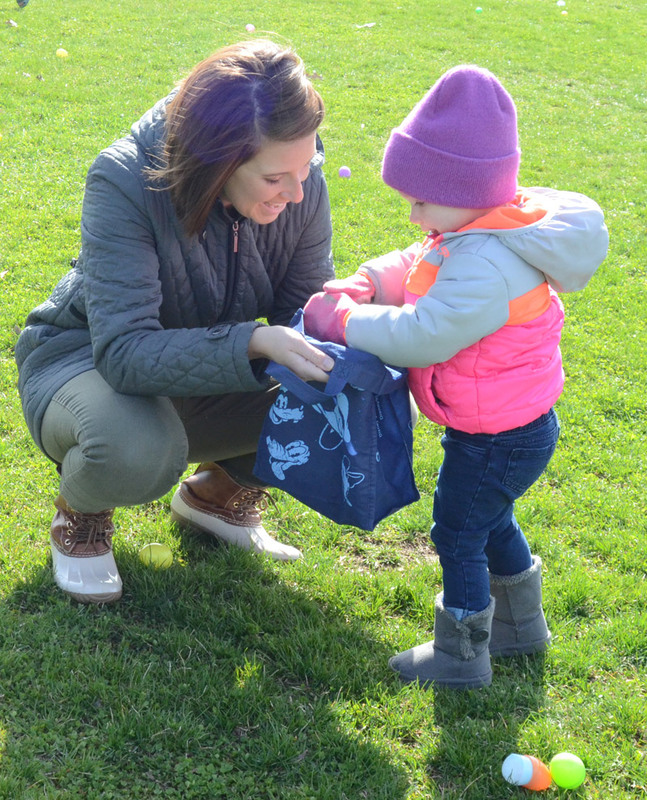 MILFORD — The annual Milford Kiwanis Easter Egg Hunt in Milford saw just under 100 kids from under the age of 1 to 10 years old converge on the grounds of Milford Elementary School. Just prior to the event the Easter Bunny arrived by fire truck with the siren announcing its arrival. 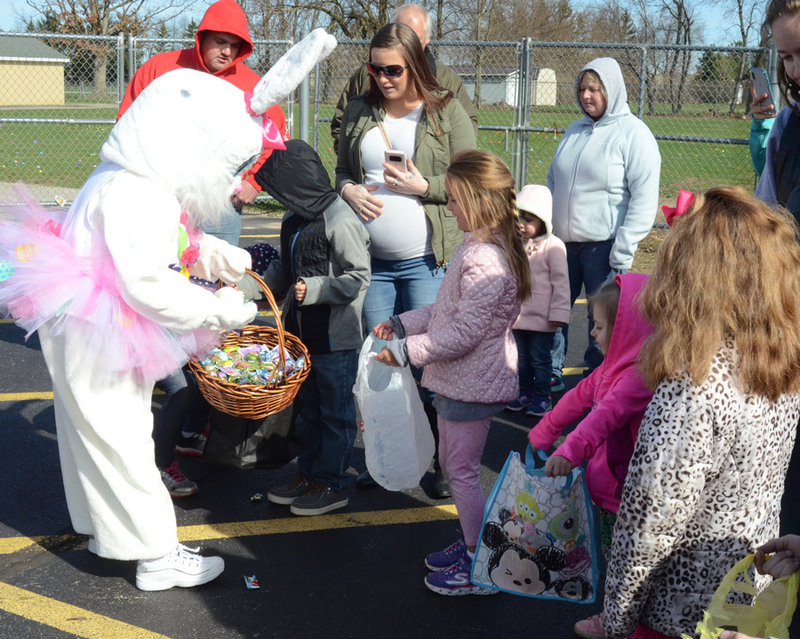 The Easter Bunny, aka Rebeca Vogel, greeted each of the kids and handed out candy before Charles Byrd, Kiwanis president, gave instructions and released the kids. It didn’t take long for the kids to find the six eggs each one was allowed. 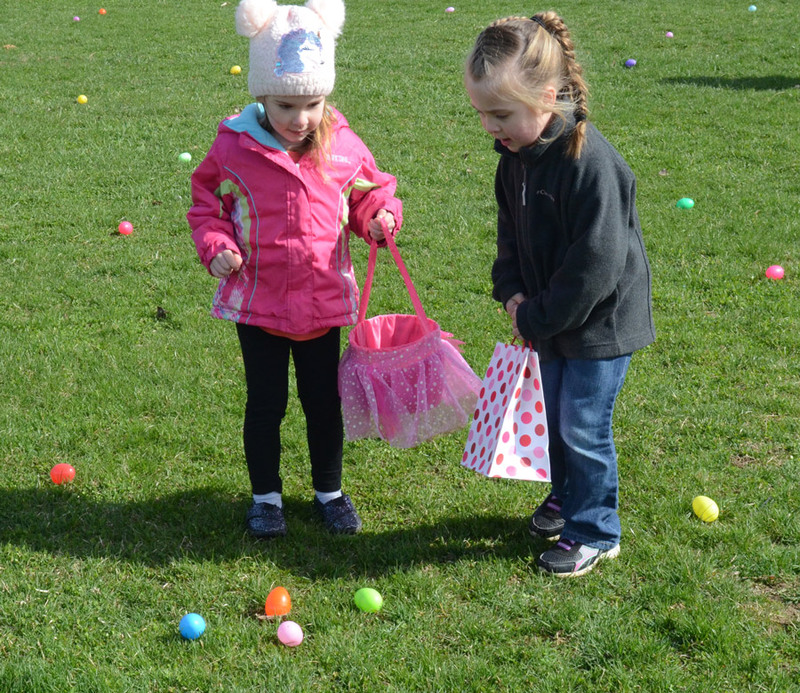 Many went right to the special colored eggs which garnered them a special prize while others looked for the larger and various colored eggs to exchange for money. 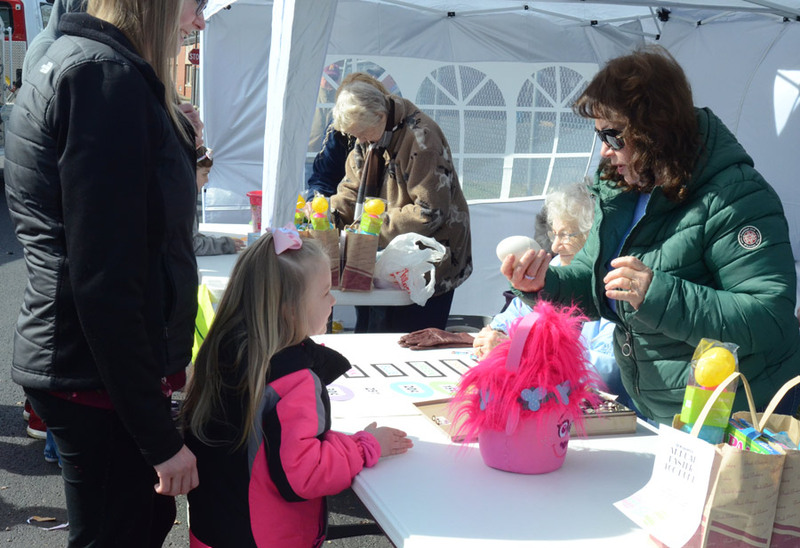 In addition to cash prizes coupons for a free kids meal at Texas Roadhouse, Elkhart, were handed out. 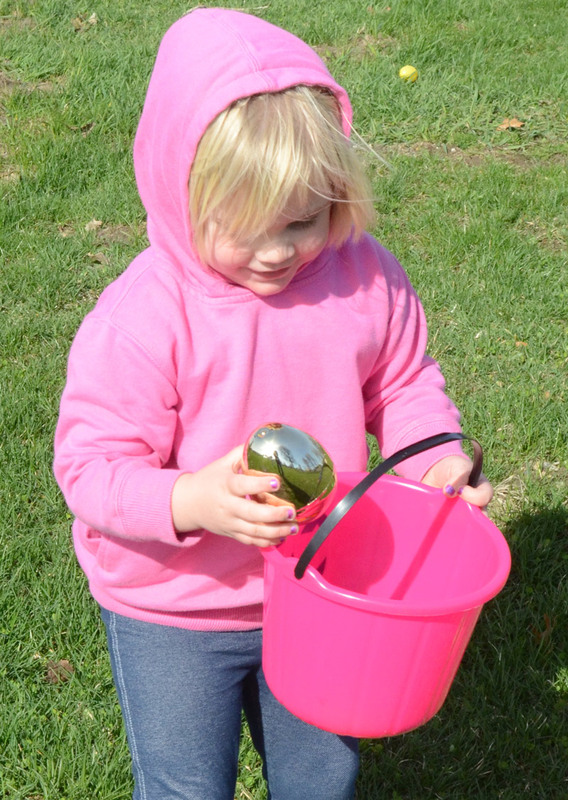 Plenty of eggs were scattered about the playground area for kids to collect. 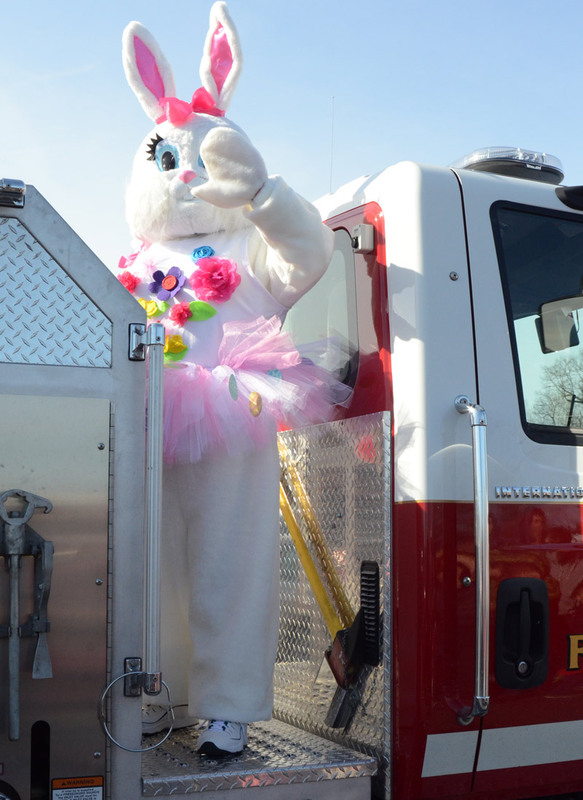 The Easter Bunny arrives on the back of one of MIlford Fire Department’s trucks. 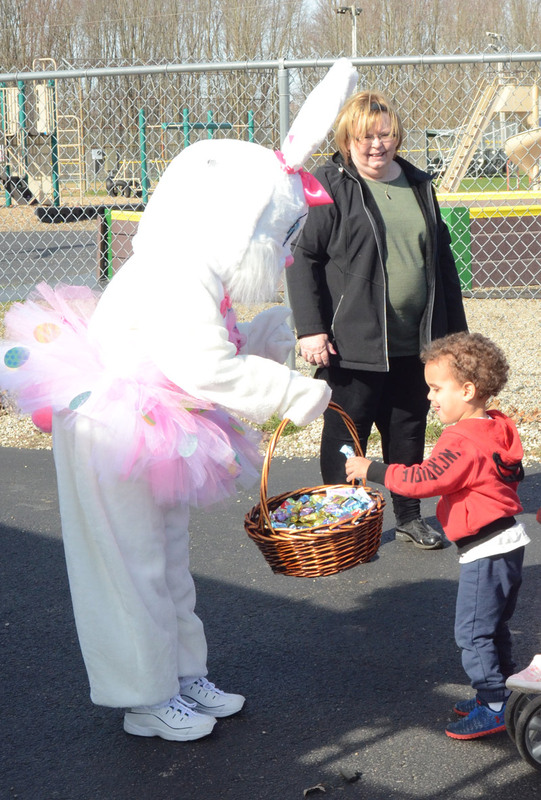 Rylan Clutter, right, gets his candy from the Easter Bunny. 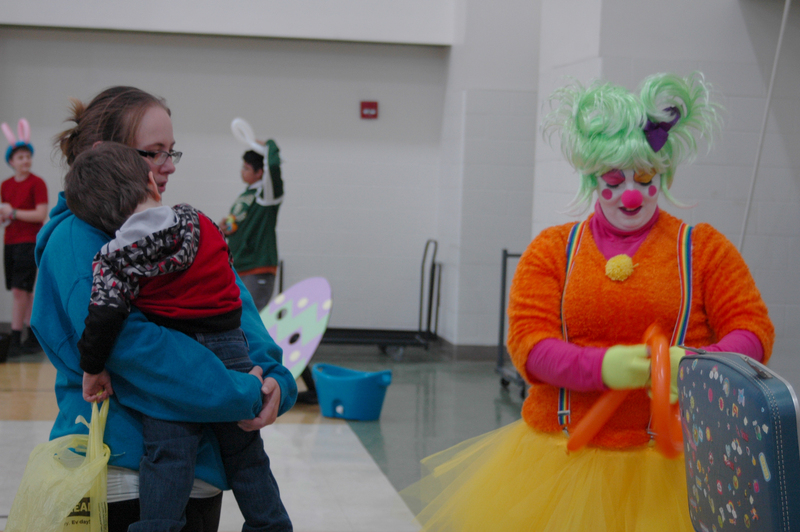 The Easter Bunny, aka Rebeca Vogel, hands out candy to all the kids. 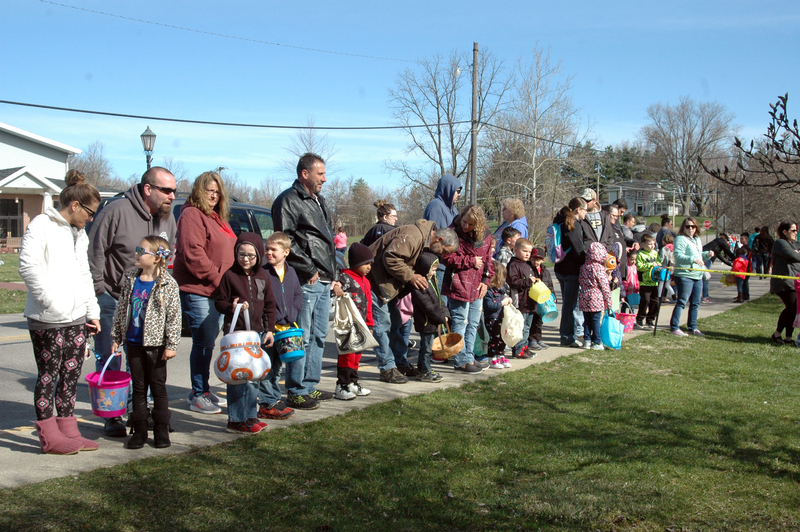 Kids and adults line up for the arrival of the Easter Bunny. 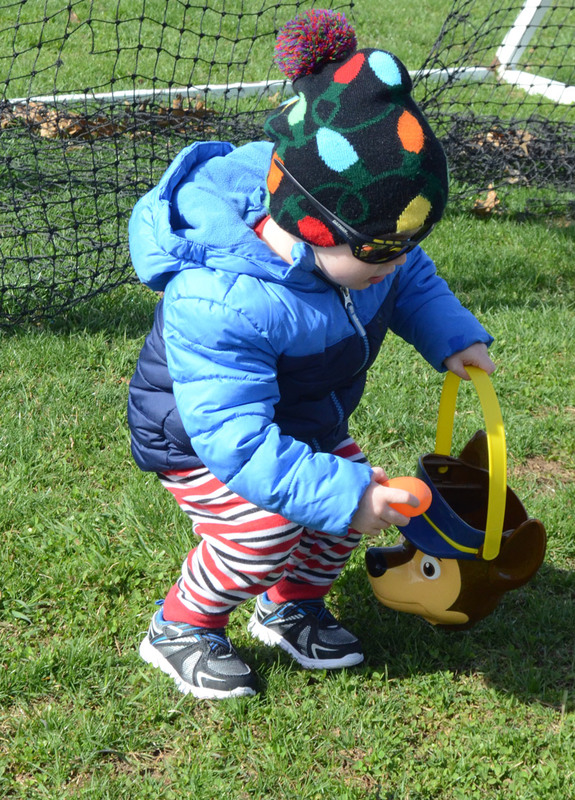 Sawyer Sharp finds one of the special shiny eggs. 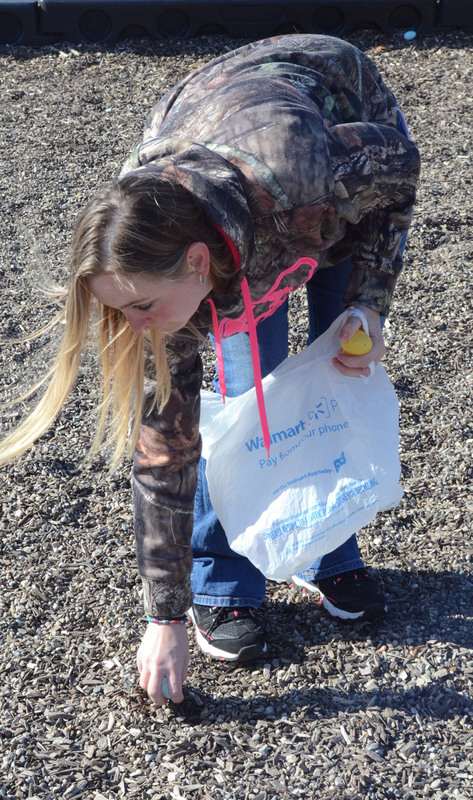 Whittley Bender holds the bag while daughter Gwen Bender adds to her find. Connor Biggs puts one of his eggs in his special bucket. Holly Fountain watches as her daughter Anna Craft turns in her eggs, including a special large egg. Doris Zimmerman and Melinda Roose are shown on the right.